Description: KING REX (​​@Kingrexpalace), real name is Nelson Lengaya. The 13 year old talented act, who previously dropped two singles in October and November, 2016, titled ‘Am Proud Of Naija’ and ‘Natural Things’ respectively. The young talent has come with a new hit Single with video, titled ‘Party For Me Ft. ClassiQ. He featured the Nigerian number one Northern wave of the moment ‘ClassiQ’ aka Arewa Mafia. King Rex further stated that ‘having ClassiQ on the song means everything to him, knowing how much he’s been a big fan of the lyricist while growing up’. The Young rising act who is currently not signed to any label promises more good content in 2017 and beyond. 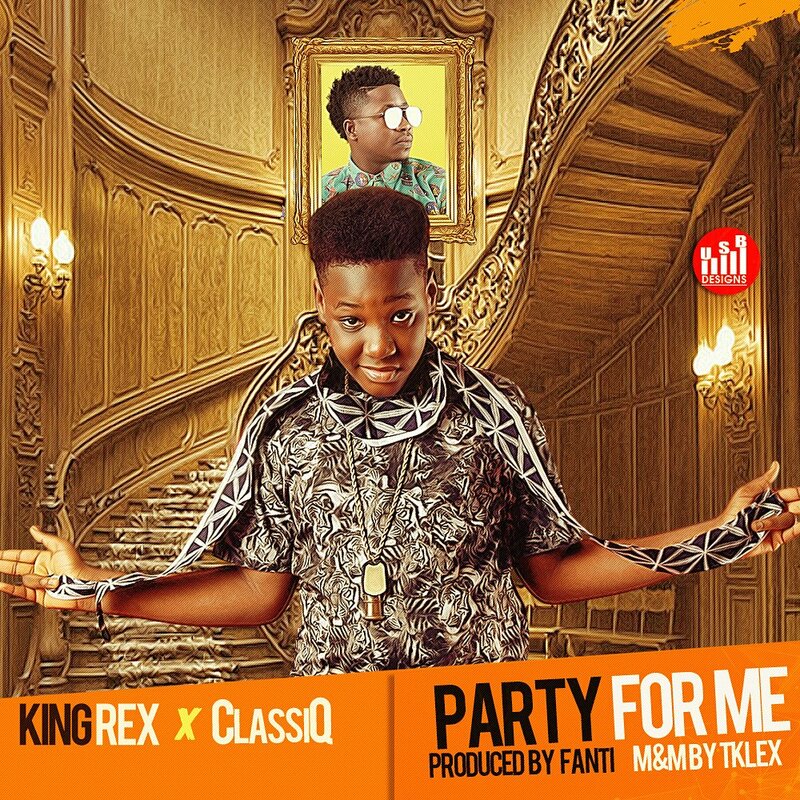 Party For Me Ft. ClassiQ was Produced by Fanty, mixed and mastered by Tklex. Video directed by Bash’Em. Check this out and share your thoughts.